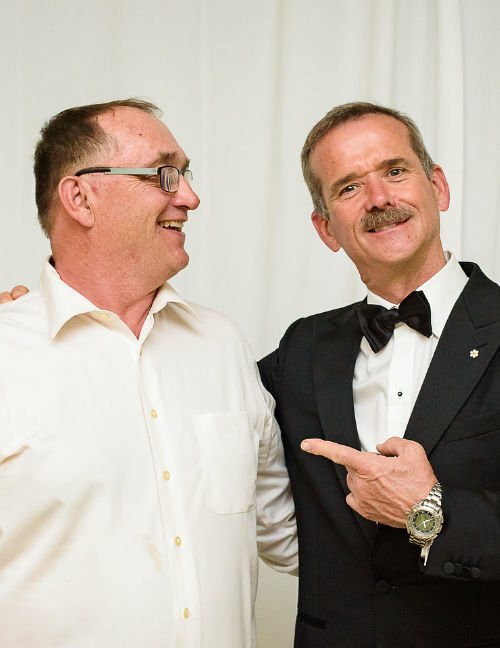 Mike Ondrejicka (pictured with Guest Star Chris Hadfield) owns and manages Ondrejicka Elevators located in the municipality of South Huron. He has been a dedicated board member of the South Huron Hospital Foundation for the past 8 years. Mike and his wife Mary have two daughters they are intensely proud of and love living and farming in Huron County.